Unilever Enterprise & Technology Solutions (ETS) is the global business unit that delivers the company’s shared business services and Technology services, solutions, and innovation. The transformation of Employee Services – Workplace and Travel Services (WTS) has driven significant change over the past 8 years developing the strategy and moving the delivery of these services from being primarily within each local site and geography to be a globally integrated service line within Enterprise Solutions. As this change is embedded, there is still a requirement to deliver change without disruption to everyday operations. Particular focus on relationship building skills, ability to drive service and financial performance leading to success of 3rd party suppliers, and drive change in the workplace environment effectively while balancing sensitivities and local nuances. Looking forward WTS is looking to re-position itself from a provider of services to a provider of experiences – the Employee Experience will be at the heart of the agenda focussed on providing an integrated and seamless experience to staff and visitors. 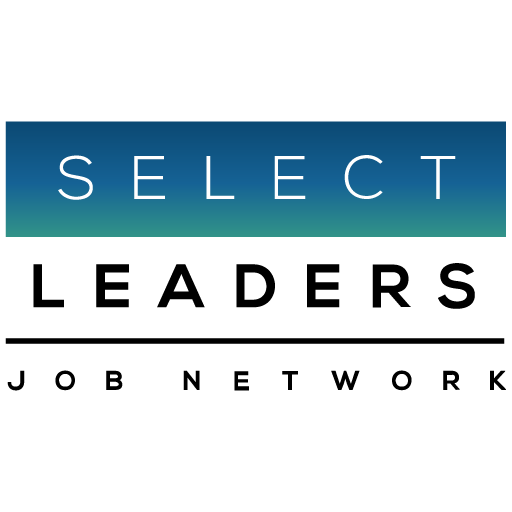 You’re a born leader: Develop outstanding relationships with the business and build win-win relationships with selected providers to meet our current and future requirements. You’re a dot connector: Leverage cost-effective, best practice, global solutions across Unilever to meet users’ needs You love to win, and have fun doing it: Put the business goals at the heart of what we do. You’re a changemaker: Make continuous improvement in both cost and service an integral part of our way of working You’re a culture & change champion: Build a professional services organisation that enables our people to give their best. You’re a talent magnet: able to attract, retain and develop the next generation of leaders, not just for WTS but wider Unilever. Real Estate – the Service Deliver Director (SDD) is responsible to ensure that all activities around acquisition, disposal, and contractual terms across the South Asia portfolio land well in the business and manages the engagement with the stakeholders within the region. This is undertaken in partnership with the Global Real Estate team who are accountable for driving and executing each Real Estate transaction within our defined standards. Building project management – overseeing all construction activity excluding Supply Chain units. Capital Asset planning and management – ensuring that we have a clear ongoing funnel of capex projects that drive the greatest value for Unilever to lower total cost of operation. Facilities management – all site services (catering, cleaning, security, building maintenance, etc.) across both the office and supply chain portfolio – this will include picking up the current RFP which is out in the market for the entire South Asia portfolio – current providers are CBRE, Sodexo and HRG for travel. Travel. Fleet and Event Management – to ensure the global travel and event management services operate effectively in the Geography and meet the needs of the business whilst ensuring high levels of traveller compliance to support broader security and safety requirements. Supplier management – given the significant nature of services being outsourced in a truly global capacity, the SDD needs to build the right relationships with all stakeholders in all three of the primary partnering organisations to ensure delivery of value to Unilever, and to help shape each of the 3rd party partners agendas’ and capabilities within the region. Financial management – having the right financial acumen is vital, given the size and cost of the Unilever portfolio, and given that Workplace is its own function working across the business. The service line is very business case and event driven, mostly around real estate transactions and location decisions. Coupled with this is our relentless focus on driving the ZBB (Zero Based Budgeting) agenda and utilising tools such as LEAN / End 2 End cost management and Magnify to constantly challenge our views on value and bring around the right conversations with business leaders on cost choices. Relationship Management – as the SDD in South Asia you will form part of the South Asia ETS LT, connecting with your colleagues in Finance, HR, IT and Data and Analytics to drive joined up thinking around the business initiatives that ETS are driving and ensure close alignment with the SA LT agenda. You will also work very closely with the HUL Board requiring strong engagement with a broad range of business leaders. Digitally driven – The Mumbai and Bangalore Campuses offer opportunities for further digitalization and our focus now is to drive a differentiated service mindset and culture using the technology through data and analytics. In addition, the SDD needs to remain very aligned and engaged in the broader digital agenda for both the region and Workplace globally to ensure that we can capitalise on all opportunities to enhance the user experience whilst driving down costs to operate and meeting our sustainability goals. Future Workplace Design – the role needs to maintain constant focus on the ever-changing needs of the workplace population and end user needs, as well as strong engagement with the broader sustainability and Diversity & Inclusion agenda to ensure that our workplaces remain relevant and forward thinking in their design, operation and performance. Workplace is a key part of the attraction and retention of talent agenda for South Asia and play a role in supporting the HRLT agenda for the region. Safety, Security and Sustainability – the role holder needs to retain and build a strong relationship with the SHE and Sustainability teams in South Asia to ensure we have aligned agendas and that Workplace play a proactive role in delivering these agendas through both strategic intent and operational delivery. This has traditionally being a key pillar in South Asia. External Engagement – whilst significant effort is internally focused on the role and broader Unilever needs, the SDD also needs to maintain and develop effective external networks and contacts to ensure our Workplace proposition is current and market leading in the region. Supply Chain Engagement – Workplace provide a range of service to the Supply Chain part of the business and developing and maintaining a strong relationship with the SCLT for the region along with deep awareness of the key factors that are important to Supply Chain in terms of cost, safety, performance and critical uptime are essential to build and foster a close working relationship to drive value for the business. Hindustan Unilever (HUL) is India’s largest fast-moving consumers goods company, with leadership in Home and Personal Care products and Food and Beverages, and a heritage of over 80 years in India. HUL has about 18,000 employees and has a sales of INR 34619 crores (financial year 2017-18). HUL has emerged as the No.1 company of choice across all sectors. The current WTS portfolio includes ~300 leased offices and supply chain units; and ~120 owned offices & R&D units and supply chain units; ~100 retail units (this excludes anything coming in under the GSK acquisition). At the moment only, the office portfolio is actively managed by WTS, this role will need to work with SC & retail to take on management of those assets. This role will also need to support and drive the disposal of surplus properties as part of the global OTI agenda alongside the RE team. The current average spend across the South Asia cluster for WTS is ~€12million OPEX and ~€5million CAPEX, this excludes SC, Retail and GSK. The role will be based in Mumbai. You will need to ensure you have the eligibility to work in either of the above countries.